Americans can slash most pesticide residue from their foods by replacing only the most pesticide-ridden produce with organic fruits and veggies, per the medical and public health communities. The Environmental Working Group (EWG) recently released its annual Dirty Dozen list, which publicly ranks results of USDA and FDA testing of 32,000 samples of 48 non-organic fruits and veggies commonly found in the U.S.
"Two-thirds of produce samples in recent government tests had pesticide residues," writes the EWG. "Don't want to eat bug- and weed-killers?... 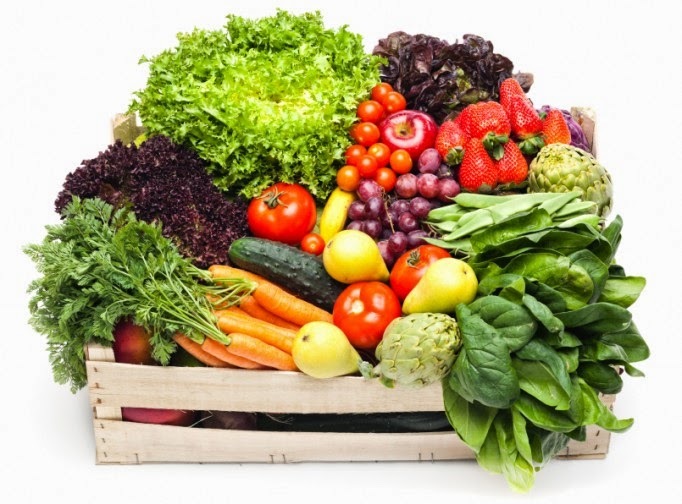 We highlight the cleanest and dirtiest conventionally-raised fruits and vegetables." Without further ado, the EWG's 2014 Dirty Dozen are listed below. EWG's 2014 Dirty Dozen - "Each of these foods contained a number of different pesticide residues and showed high concentrations of pesticides relative to other produce items." 1. Apples - "99% of apple samples tested positive for at least one pesticide residue." 2. Celery - Single samples "tested positive for 13 different pesicides apiece." 3. Cherry Tomatoes - Single samples "tested positive for 13 different pesticides apiece." 5. Grapes - "A single grape tested positive for 15 pesticides." 6. Nectarines (imported only, not grown in the USA) - "Every sample of imported nectarines tested positive for at least one pesticide residue." 8. Potatoes - "The average potato had more pesticides by weight than any other food." 9. Snap Peas (imported only, not grown in the USA) - Single samples "tested positive for 13 different pesicides apiece." 11. Strawberries - Single samples "tested positive for 13 different pesicides apiece."